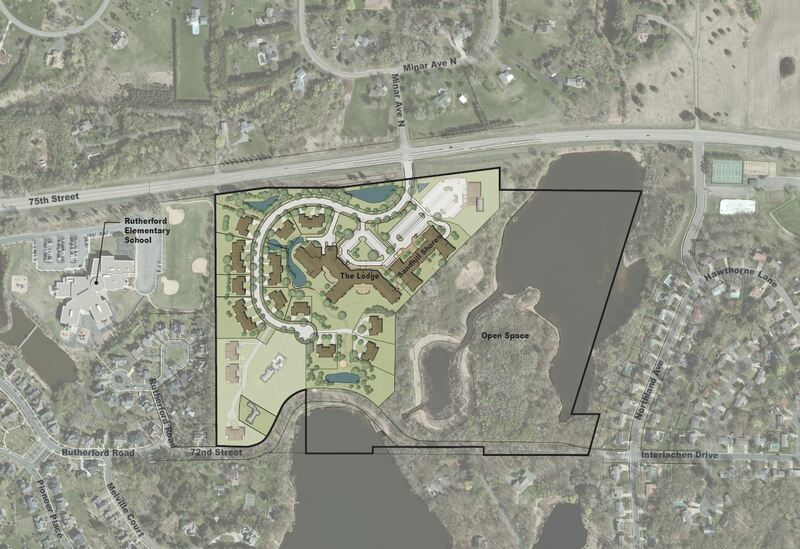 CHASKA, Minn. (May 23, 2017) – The Stillwater City Council on Tues., May 16, unanimously approved a Special Use Permit, Planned Unit Development and Preliminary Platt for the city’s first senior living campus on approximately 50 acres. Intergenerational Living & Health Care, Inc. (ILHC), a nonprofit organization pioneering interactive programming to bring children and seniors together, based in Minneapolis, is moving forward with the senior living development at overlooking the northern end of Long Lake just east of Rutherford Elementary School on the western edge of Stillwater. The Lakes at Stillwater, an approximately $72 million mixed-unit senior living campus, will have three development phases and is projected to open at the end of 2018. Construction will begin in early fall of 2017 for phase one, The Lodge, a 139-unit independent, assisted living and memory care community. Phase two will include 30 independent living villas that will be accompanied by 70 independent senior living apartments in the third phase of the project. The Lakes at Stillwater will be a vibrant senior living community inspired by the natural beauty of the surrounding scenic lakeside landscape, offering a healthy aging lifestyle and a continuum of care services. Amenities will include multiple dining venues, intergenerational programming, a wellbeing center, creative arts, nature-based therapeutics, a fireside bar lounge, and more. 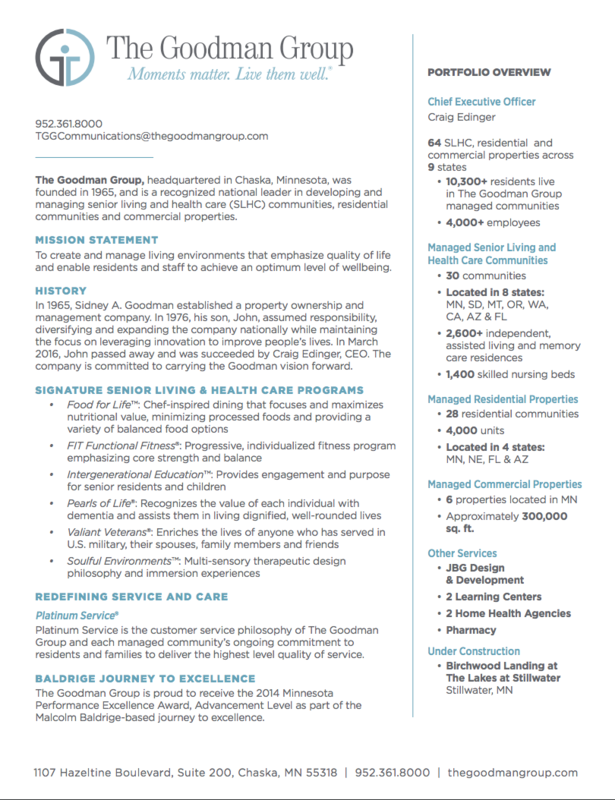 The owner ILHC is working in collaboration with developer and manager The Goodman Group LLC, a Chaska-based, 52-year privately held senior living and health care management company, with a focus on creating innovative person-centered lifestyles for healthy aging and wellbeing. The co-real estate developer of the project is Northland Real Estate Group, LLC, a Twin Cities-based commercial real estate investment and development company focused on senior living housing, multifamily, and commercial properties in the Midwest.